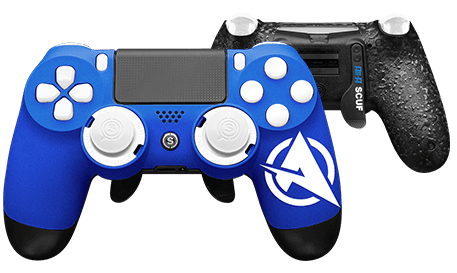 Scuf Infinity 4PS Pro is a Professional Controller for PlayStation® 4 and PC! 90% of pros worldwide use SCUF because of their removable paddles, you can choose to play wired or wireless, it’s easy to switch thumbsticks in seconds, it has fully adjusted triggers and remap paddle configurations on the fly! Save at least US$25 by shipping it to our warehouse in the US, and we’ll get it straight to your door from only RM10/lb!